Record-Breaking #SNIC19 Nearing Capacity: Secure Your Spot Now! 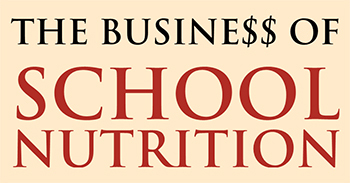 #SNIC19: “The Business of School Nutrition” is just a little over a month away, and we’re expecting a record crowd, so if you haven’t yet registered, do it today as we are nearing capacity on the number of attendees we can accommodate. 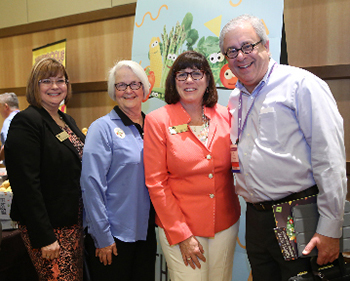 You don’t want to miss these three days of unparalleled learning and networking designed to help you plan for and build the future of school nutrition! SNIC is all about making connections. When it comes to networking, we mean business! We’ve built in several events and innovative programming formats to help you reconnect with friends and colleagues and meet new ones. Each day features 30-minute breaks to refresh, recharge, and take part in #OpenSpace social learning discussions. The conference kicks off Saturday night with the Welcome Event at the famous Maggie Mae’s, one of the most iconic spots in Austin, where we will “Party With A Purpose” to help support the School Nutrition Foundation. The Innovative Solution Sessions and Monday’s 50 Tabletop Displays are the perfect opportunities to continue sharing experiences, converse about challenges and successes, renew friendships and build lasting business relationships. Be sure to book your hotel as soon as you register—the cutoff date for the SNA special rate is December 21! With such overwhelming interest in #SNIC19, certain nights may not be available at the JW Marriott, however we have secured another room block at the Hyatt Place, directly across from the Marriott. If you’re planning on taking the SNS Credentialing Exam at SNIC, the deadline to register is January 3—email certSNS@schoolnutrition.org for more information. Register now to join us in Austin!